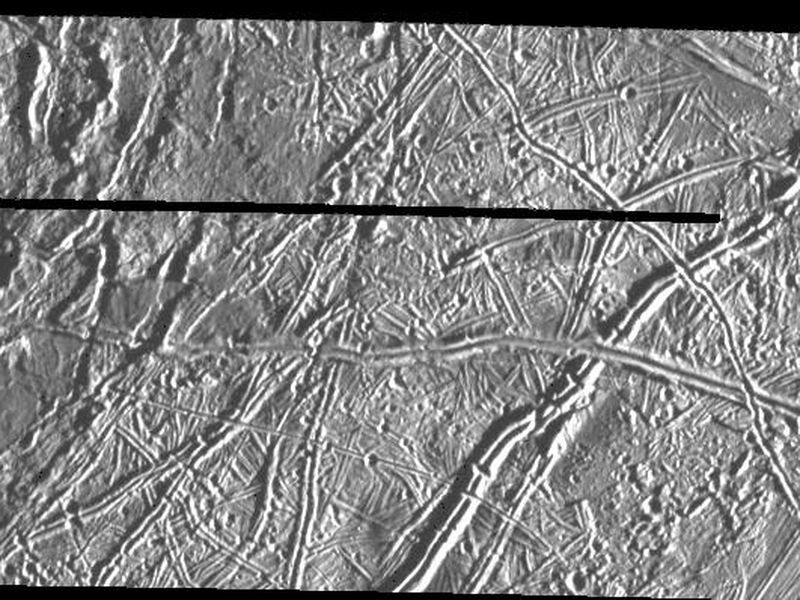 This image of Jupiter's satellite Europa was obtained from a range of 7364 miles (11851 km) by the Galileo spacecraft during its fourth orbit around Jupiter and its first close pass of Europa. 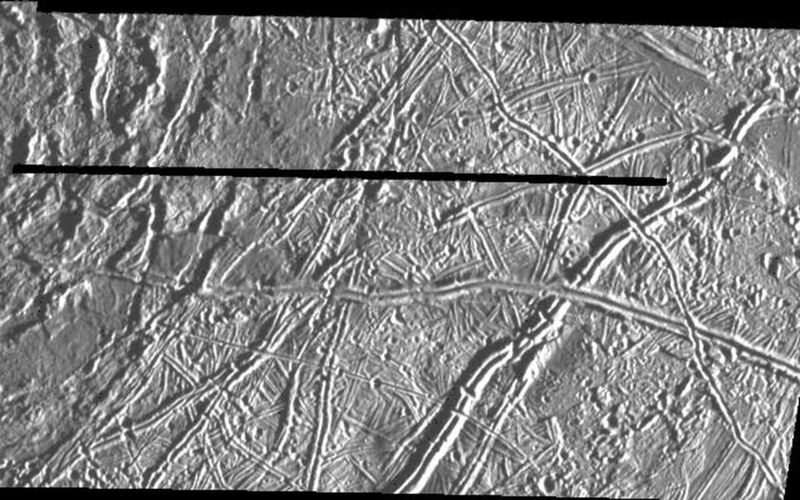 The image spans 30 miles by 57 miles (48 km x 91 km) and shows features as small as 800 feet (240 meters) across, a resolution more than 150 times better than the best Voyager coverage of this area. The sun illuminates the scene from the right. The large circular feature in the upper left of the image could be the scar of a large meteorite impact. Clusters of small craters seen in the right of the image may mark sites where debris thrown from this impact fell back to the surface. 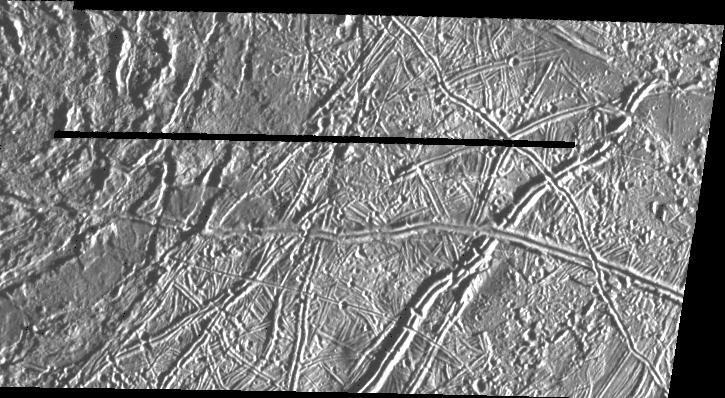 Prominent doublet ridges over a mile (1.6 km) wide cross the plains in the right part of the image; younger ridges overlap older ones, allowing the sequence of formation to be determined. 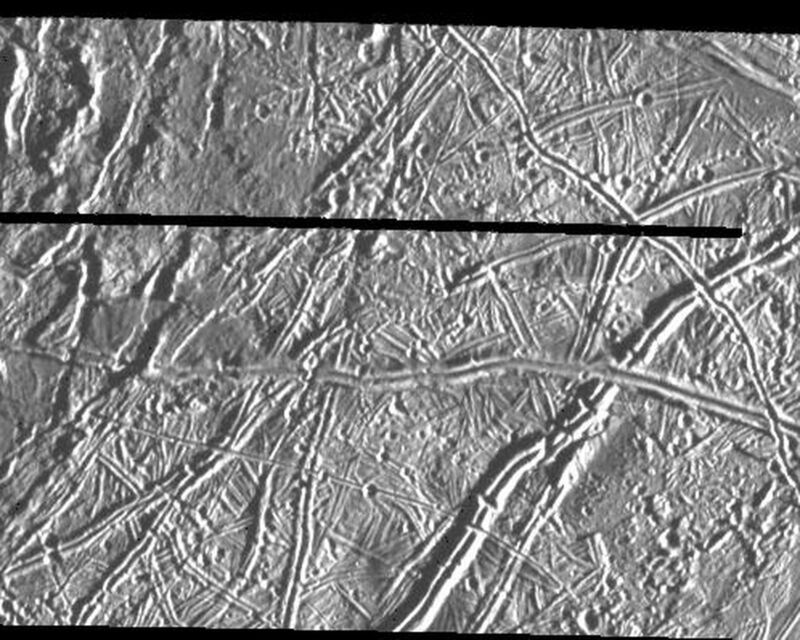 Gaps in ridges indicate areas where emplacement of new surface material has obliterated pre-existing terrain.